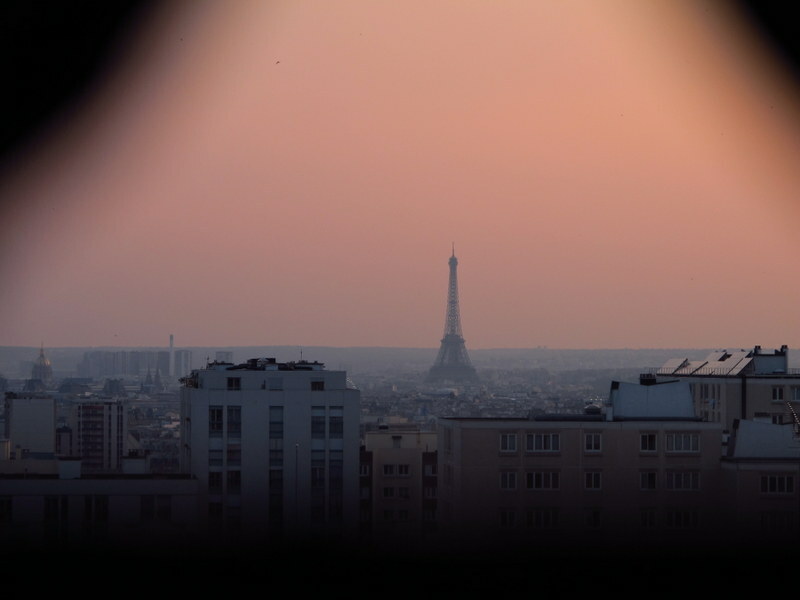 I just love my little apartment; it has two sets of french doors leading out to a tiny balcony with a weeny cute table and chairs – and a view of the Eiffel Tower!!! I guess it’s quite a distance away, but still, it’s right there, and I feel like I just want to sit there all week looking at it. And…. I didn’t get lost on the way either – pretty good I’d say. Booked through airbnb for the first time, and haven’t had any problems, everything is as advertised and the owner seems nice. Booking.com will wonder what has happened to me the last couple of weeks, it’s the longest I haven’t used them since I left home! First thing was to buy a few supplies, easier said than done, I’ve found, sometimes. I’m pretty sure the person I asked about a supermarket told me there was one just up a side street. I didn’t find it, but there’s a little fruit and veg shop, a boulangerie and a couple of bars really close by, so in the end the essentials were fairly easy to come by. My building has a café on the ground floor too so it was all looking good enough to go exploring for the rest of my first afternoon in the 19th. As the Parc des Buttes Chaumant was only a block away it seemed a good place to spend the afternoon. 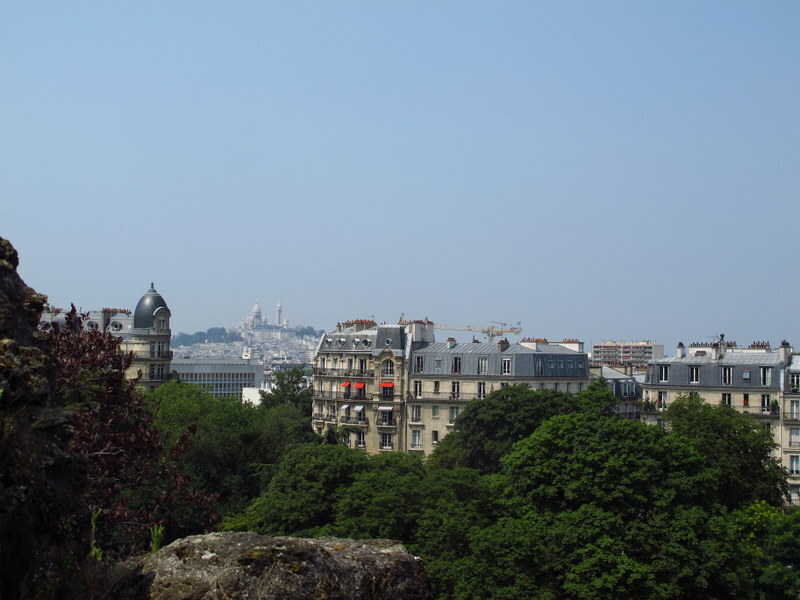 It’s very much a natural parkland, so different to the highly manicured gardens in the city that it felt almost like I was in a different city altogether – except for the stunning vista of the Sacre Coeur from one of the highest points. Drawing the Temple de la Sibylle kept me occupied and happily observing the comings and goings for quite a while. Then just walking through the lovely gardens helped me feel more settled than I’ve been for the last two weeks and although I haven’t completely recovered from my tummy troubles I’m hoping this week to find the Paris I came here looking for. To cap off a pretty smooth day I enjoyed practicing my French with the owner at the bar where I stopped for a wine on the way home. Then – nibblies on the balcony for dinner while soaking up the fact that, wow, here I am, in Paris, watching the Eiffel Tower put on it’s nightly light show!! Just a bit of reading material for the little room!! Really awesome.Thanks for your great post. It’s an awesome place. Glad you enjoyed the post.